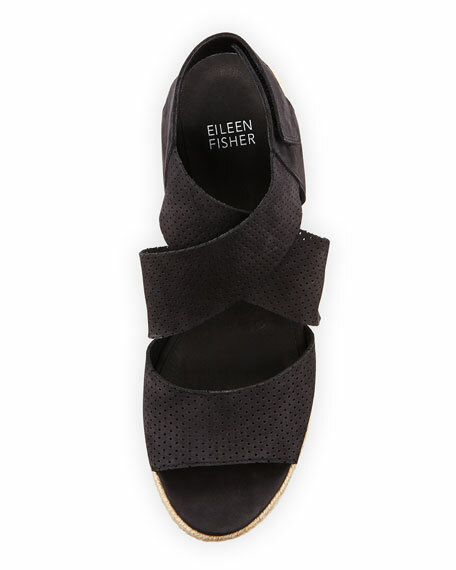 Eileen Fisher perforated nubuck leather espadrille sandal. 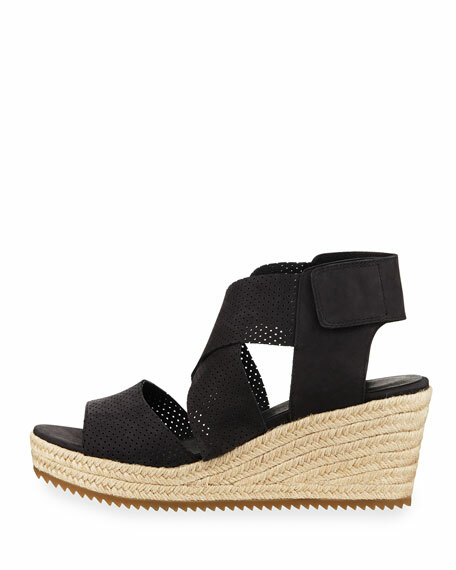 2" braided-jute wedge heel with platform. For in-store inquiries, use sku #2407245.